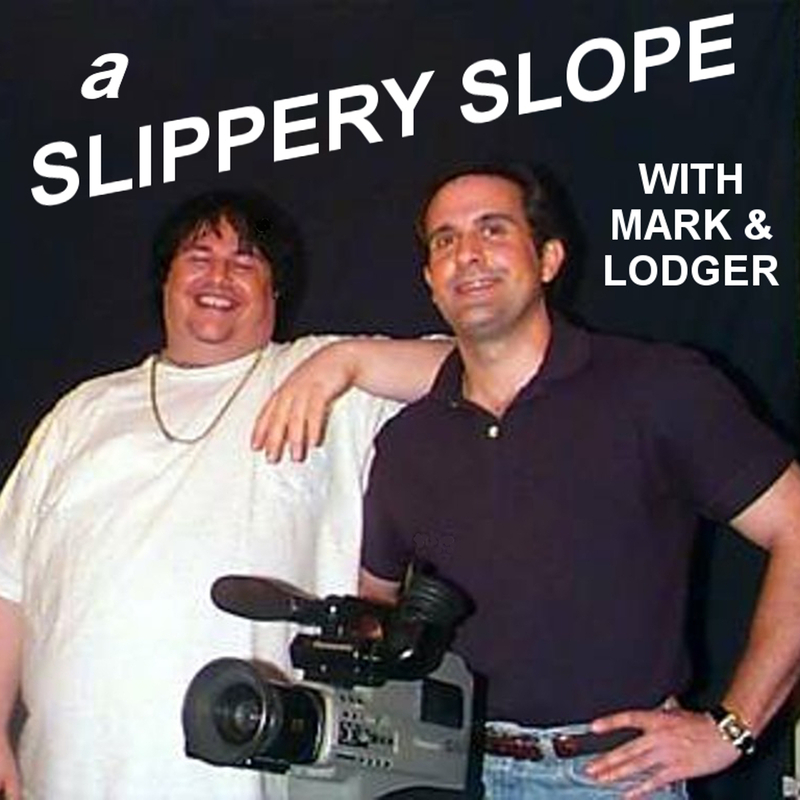 Where Lube TV ended, A Slippery Slope podcast continues with discussions of Austin TX film, music and art with plenty of comedic banter between Mark, Lodger and their guests. #goldenshowers, Her Come The Warm Jets, Chrissie Hynde & Brian Eno, Mark's backpacking trip to Lake Georgetown, True Detective, The Lobster, Mark's trip to NOLA, No Single Blade Of Grass,The Wall,RIP George Michael, Carrie Fisher & Debbie Reynolds, OSOTW. Katz's, Dr. Bombay, Pettycoat Junction, Lodger's List, True Detective, Tim League, La La Land, Joy, Christian Bale, Hateful Eight, Lifeboat,Hiking, The OA, Dirk Gently, Walking Dead, Project Runway Junior, Hell Or Highwater, Jeff Bridges, OSOTW. Lodger makes a statement. Then mark & Lodger talk about a Eno's "I'll Come Running To Tie Your Shoes" and a lot of TV shows. Lodger returns to the show from a short self imposed hiatus and he has a lot to discuss with Mark. Mark goes solo in this short episode to discuss his impressions of the election with over a week to contemplate it, Leon Russell, Leonard Cohen & Sharon Jones,doing voice-over work for Kelly Scollards new project,Oblique Strategy of the Week. This show recorded before the election,Mark's fishing trip,7A Ranch,Literature,Lodger shits on Mel Gibson,Mystery Train,Repo Man,Topsy Turvy,House Of Cards,Chrisley Knows Best,Finding Prince Charming,Walking Dead.American Horror Story,This Is Us,OSOTW. Carter Country,Victor French & Little House On The Prairie,Hardy Boys,A Day No Pigs Would Die,Dimes,Rocky Horror,AFS Cinema's reno,Facebook frustration,Is Will Byers gay?,The Night Of,This Is Us 5,Abandoned Racetracks,Eye Witness,TWD,Lodger's DVDs,OSOTW. On Episode N-n-n-nineteen Mark & Lodger discuss Alex Jones,Obama's candor,David Lynch & Twin Peaks,we love Sierra,Lodger's trip to Coushatta,Warhol's Sunsets at the Menil,TM,Lodger's reviews Black Dog,Cosmopolis,This Is Us update,FTWD recap,OSOTW.